Americana by the Seashore is located on Long Beach Island in Historical Barnegat Light, NJ. We are celebrating our 30th anniversary! We carry MacKenzie-Childs tabletop, furniture, accessories, etc. A selection of fine 18K and 14K jewelry from numerous designers. Ancient coin jewelry set in gold with stones continues to be very popular. Large and unique collection of fashion jewelry. It looks expensive but is priced from $10.00 & Up! The visitor will enjoy selections of oil paintings, carvings, glassware, silver, carousel figures, gift ideas and much more! We are open in the Spring, Summer and Fall and close over the winter months. However, we can be reached all year via e-mail or phone. Shipping is available all year. We look forward to your visit! The LBI Duplex Team publishes The LBI Duplex Letter, a monthly newsletter focused on the LBI duplex market. Issues include articles on the operation and investment aspects of duplex ownership as well as a summary of current listings and sales. The Duplex Team focuses on the listing and sale of LBI duplexes, and provides an unmatched level of client representation of both buyers and sellers of LBI duplexes. The use of the latest technology plus old fashioned customer care sets them apart from the competition. Mancini Realty is a full-service real estate agency located on Long Beach Island (LBI). Whether you’re looking to purchase or rent on LBI, our agents are here to serve you. Search our website, browse our property listings, and contact any of our highly-experienced agents to make your housing dreams a reality. Serving the Island for over 30 years! Celebrating over 124 years as your neighborhood grocer. 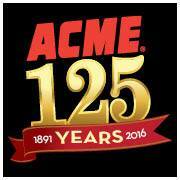 Today, ACME operates 107 stores in Pennsylvania, New Jersey, Delaware and Maryland, employing more than 10,000 associates. We continue to offer consumers fresh and convenient supermarket solutions, in addition to services such as Sav-on® Pharmacies – all tailored to the specific needs of the neighborhoods we serve. ACME Markets Today – In 2013, our parent company, AB Acquisition LLC, acquired ACME Markets from SUPERVALU, a transaction that brought all Albertsons stores under singular ownership again and added Jewel-Osco, Shaw’s and Star Markets to the growing food and drug retailer. Today, ACME Markets operates 110 stores throughout Philadelphia, PA, New Jersey, Delaware and Maryland, which is part of a 2,200+ store operation that employs approximately 265,000 people nationwide. Benée Scola & Company opened for business listing and selling real estate on Long Beach Island in January 1995. Since inception, the company continues to be an industry leader in the unique market place it serves. Since beginning in the Long Beach Island real estate business in 1987, Benée has enjoyed an illustrious career, far surpassing industry standards, in the marketing of beach homes in North Beach, Harvey Cedars and Loveladies. In 1972, when Benée was 10 years old, her family moved year round to Long Beach Island (LBI). Benée, as a kid and young adult, pictured herself moving off the Island in search of a career. 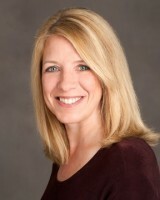 Somehow the lure of LBI just was too strong and in 1987 at 25 years old she began her real estate career. Benée lives year round on the bay in High Bar Harbor and considers herself fortunate to be able live and work on Long Beach Island. Oceanside Realty was founded by John Franzoni in 1987. LBI has always been a part of John’s life, from the time when he was a lifeguard back in the 1960’s and right into today, as a highly respected real estate industry veteran of the island. The first Oceanside Realty office was opened in Surf City and over the years, via a lifetime of building relationships with many of Long Beach Island’s home owners, Oceanside Realty has built one of the largest rental books on the island. Additionally, Oceanside Realty has also helped thousands of families from all over the country and the world, to both buy and sell homes on Long Beach Island (LBI). Jewelry,gifts & LBI resort wear for the entire family.Opened in 1995. A unique selection of SEALIFE , Nautical & Fashion jewelry including designers Denny Wong , Steven Douglas, Dune jewelry, Korite/Ammolite . The most current LBI resort wear & jewelry at great prices! we also have a great selection of beach chairs, boogie boards & umbrellas. The home of the Classic LBI Bangle Bracelet made on premise. We also have a large selection of Kites,windsocks ,spinners & unique gifts. From CZ’s to Diamonds, Fashion to 18k gold we have it all. No matter what type of New Jersey real estate or vacation rentals you are interested in, Berkshire Hathaway Home Services Zack Shore Realtors can provide it. Whether you are looking for LBI homes for sale, to list your LBI property, or for vacation rentals in Ship Bottom, Surf City, North Beach, Harvey Cedars or any of the LBI towns or the surrounding mainland, it’s here. Our knowledge of the real estate sales market and our dedication to our customers’ satisfaction has made us the leading source of New Jersey shore real estate and vacation rentals in the state. Longtime LBI licensed boat captain and father of three teaches the NJ boater’s safety course and conducts custom charters. Take the course and legally operate a powerboat. Design your own charter; fishing, crabbing, nature watching, or sightseeing to make your visit complete. Located in Beach Haven Terrace on LBI, the Beach House Restaurant is a place to enjoy fresh seafood, pastas and more. a place to bring a bottle of wine and catch up with friends. a place for a romantic dinner for two or a night out for a family of six. a place where you feel instantly at ease in flip flops or heels. a place that feels like coming home. Buddy’s is a pet supply store located in beautiful Beach Haven, New Jersey. We literally started 12 years ago from a love of animals. In all this time, nothing has changed. The care and welfare of animals continue to be our first priority. This philosophy along with our commitment to carry food, products and toys made in the USA, keep our clients, both human and furry coming back year after year. As soon as you come into our rustic space you will feel like you entered into an animal nirvana. From the wonderful eclectic collection of products to the picturesque view of the bay in the back ground, Buddy’s really is a timeless gem. Here you will find a variety of great products for dogs, cats and the humans who love them. Dogs are some of our favorite customers because they just love our Buddy’s Biscuit Bar where they can find all kinds of delicious delectable treats although we must admit our famous Bully Sticks are definitely a close second. But then again our handmade cookies never seem to stay in stock! Looking for toys to play on the beach with your dog, we have them, along with a line of life vests for those of dogs lucky enough to be able to go on the high seas. Cat lovers also feel like they are being catered to because of the fun mixture of toys offered. All products are test driven by our own feline testers so we know they are going to be a hit with yours. 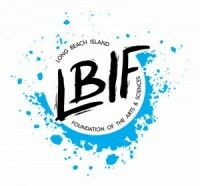 The LBIF’s mission is to promote the arts and sciences on LBI and the surrounding communities by enlightening, educating and stimulating thought and discussion about current trends in the arts and sciences, and by providing broad educational and cultural programs for all ages. Jersey Girl Grill is a seasonal coffeehouse offering breakfast favorites, sandwiches & American classics in a mellow space. Located in Haven Beach, the Jersey Girl Grill offers delivery, pickup or even a place to come on in and grab a table. 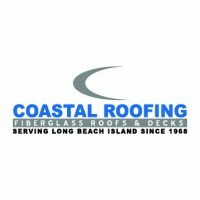 Stretch Cleaning & Restoration is a locally-owned and operated family business located right on Long Beach Island, serving the area for more than 20 years. We are a full-service cleaning and restoration business delivering quality, honest and dependable service to the residents and business owners of LBI. We are trained and certified to handle all of your carpet, upholstery, windows, floors, restoration and house cleaning needs. Our goal is to provide you with peace of mind, so you can enjoy your time at the beach with family and friends. We’ll take care of the rest. We are a family operated business with the office right on the boulevard in Brant Beach. During the summer our office is open every day, 7 days a week, so should you have any areas concern you know we will be there to take care of it. 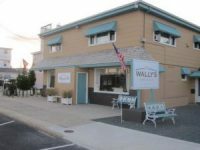 Wally’s has been a family-owned and operated Surf City breakfast and lunch landmark for over 40 years–and that tradition continues with the recent change in ownership. The Tomkos and their extended family have been enjoying their summer home and Surf City’s beach for over a decade. The idea of some day owning and operating Wally’s (previously known as Wally Mitchell’s) was bandied about for many years while sitting on the beach at the end of 8th Street. In October 2014, the stars aligned and it became a reality! Beginning summer 2014 a new magazine was introduced on Long Beach Island. There has never been a magazine of this quality along with the extraordinary editorial content exclusive to Long Beach Island. bay magazine’s clean, modern and unique design stands out from the rest. Our team will work together to create the best quality editorial magazine to advertise your business. With the images speaking to readers and the content straight to the point. 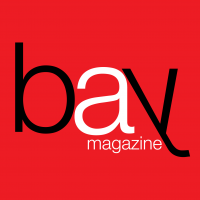 Reaching over 350,000 people with each issue of bay magazine will be the only high quality magazine that is presently available on Long Beach Island.